Data from the past 50 years reveal the upward yet uneven trajectory of black political leadership in America. In 1965, there were no blacks in the U.S. Senate, nor were there any black governors. And only six members of the House of Representatives were black. 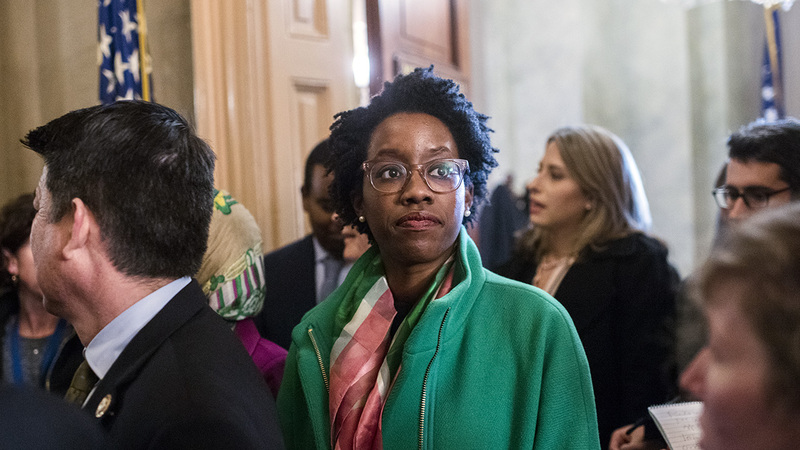 As of 2019, there is greater representation in some areas – 52 House members are black, putting the share of black House members (12%) on par with the share of blacks in the U.S. population overall for the first time in history. But in other areas, there has been little change (there are three black senators and no black governors). The share of blacks serving in a presidential Cabinet was at or above parity with the population during the Clinton and George W. Bush administrations. But there was only one black Cabinet secretary during Obama’s first term, and the same is true so far in Donald Trump’s administration. The first black U.S. senator, Hiram R. Revels, a Republican from Mississippi, was chosen by his state’s Legislature to fill an empty seat. He served for a year, from 1870 to 1871. Since then, nine black Americans have served in the Senate, including Edward W. Brooke of Massachusetts (1967-79), Carol Moseley Braun of Illinois (1993-99), and Obama. But until 2013, no two black senators had been in office at the same time. That year, Tim Scott, R-S.C., and Cory Booker, D-N.J., took office, making it the first time more than one black senator has served. Kamala Harris, D-Calif., joined their ranks in 2017. Note: Shows the total number of black representatives serving in the Congress beginning in the given year. These representatives did not necessarily serve simultaneously or for the entire Congress. The data do not include nonvoting delegates or commissioners. The current 116th Congress includes 52 black representatives, a record high and a large increase since 1965. (Rep. Adriano Espaillat, a New York Democrat and the first Dominican American elected to Congress, self-identifies as a Latino of African descent. The “Biographical Directory of the United States Congress,” on which this analysis is based, does not count Espaillat among the black members of Congress.) Only one of these 52 representatives – Will Hurd of Texas – is a Republican. Two nonvoting delegates, representing the District of Columbia and the U.S. Virgin Islands, are black. Only six representatives were black in 1965, and all were Democrats. Note: Percentages are based on the maximum number of black Cabinet members serving concurrently in a given administration out of the total number of Cabinet members in that administration. Source: The White House and Inside Gov. The highest level of black representation in a presidential Cabinet occurred during Bill Clinton’s first term, when four out of 15 Cabinet appointees were black. Throughout the rest of Clinton’s administration and George W. Bush’s two terms, the share remained high relative to the share of blacks in the U.S. population overall. When Obama took office, he appointed only one Cabinet member who was black – Attorney General Eric Holder. During Obama’s second term, there were four black Cabinet appointees. The only black Cabinet member to have been appointed by Trump so far in his presidency is Ben Carson, secretary of Housing and Urban Development. There are no black governors in office today, and there have been only four in U.S. history. Pinckney Pinchback served as a governor of Louisiana for 35 days in the 1870s, following Henry Clay Warmoth’s impeachment. Virginia, Massachusetts and New York each had a black governor during the 1990s and 2000s – Douglas Wilder, Deval Patrick and David Paterson, respectively. The latter two were the first to serve simultaneously, from 2008 to 2010. Democratic voters nominated three black candidates in the 2018 primary elections in Georgia, Florida and Maryland, but all three lost in the general election. Note: This is an update of a post originally published June 28, 2016.